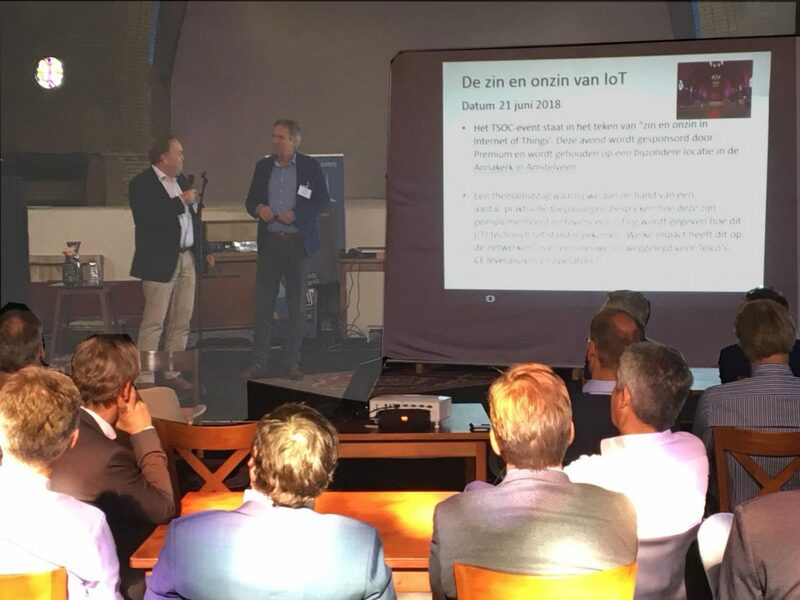 2018th longest day Premium had the honour to host the Telecom Society(TSOC) event “Sense and Non-sense in Internet of Things (IoT)”. 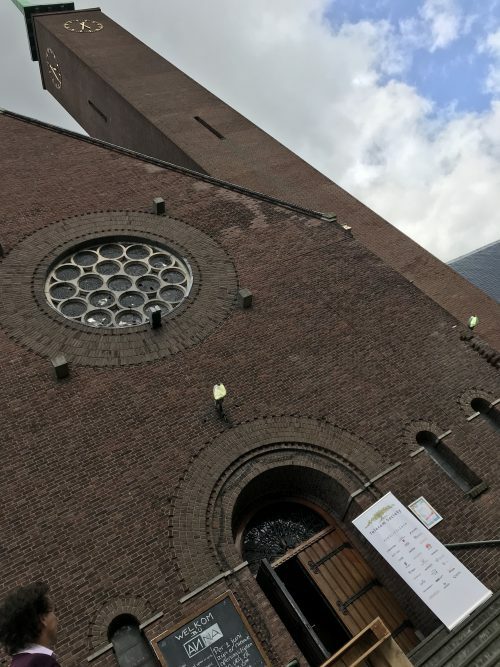 The location Premium arranged was the Annakerk in Amstelveen. A number of visitors was uncertain on the correctness of the location until they saw the banner of the TSOC at the entrance. Once inside there was a home-like surrounding. The Annakerk can be booked for occasions and serves as a tasting site and brewery location for the “Naeckte Brouwers“. After the reception, where one could enjoy a savory snack, the event programme started right on time. Arjen Mossinkoff had organised this evening for TSOC. After giving Freek de Zeeuw of Premium a short moment for welcoming everybody, he gave the word to Robert Heerekop, who was the moderator of the evening. Robert himself has years of experience with respect to Internet of Things and has written a book about IoT. 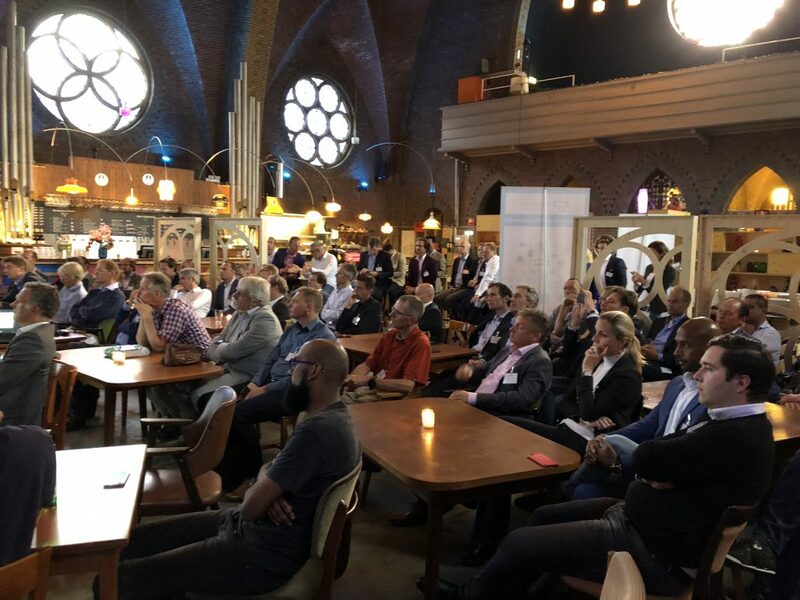 Subsequently Alfons Geurts of Premium Business Consultants, Jurjen Lengkeek of the IoT Academy and Afzal Mangal, responsible for T-Mobile IoT stimulation, spoke. Alfons explained what kind of wireless communication protocols are available for IoT and how you can arrive at a choice for an IoT Platform for your IoT business. Jurjen explained what trends from the past can be compared to todays’s IoT developments. He thinks we just passed the “peak of inflated expectations” in Gartner’s hype cycle . Afzal urged us to deal well with the possibilities that IoT offers. Be creative and direct: do not reject new possibilities because we always did it like we do it now. Afzal thinks we are at the start of the “slope of enlightenment”. After the talks Robert invited the speakers together to answer questions from the public and share additional insights together. After Arjen’s closing words further discussions could take place enjoying the buffet and some craft beers from Amstelveen. Premium silver partner IoT Academy Premium has migrated to a new address.